will be on April 20, 2018 at The Venue@DMU, 20 Western Boulevard, De Montfort University in Leicester in collaboration with ACM-W UK professional Chapter! The program can be found at the following URL. ACM-W supports, celebrates, and advocates internationally for the full engagement of women in all aspects of the computing field, providing a wide range of programs and services to ACM members and working in the larger community to advance the contributions of women in technical fields.  The ACM-W UK Chapter will strive to realise this very vision of its parent association during the INSPIRE Conference 2018 by bringing together women in computing at different levels of their career “To Inspire” and “To Be Inspired”. Distinguished speakers who have made their mark on the field of Computing will deliver informative and inspirational keynote addresses. The event will facilitate networking among academics and industry, thus helping foster collaborative relationships. The program can be found at the following URL. Registration: March 20th, 2018 – For Registration, visit Conference Eventbrite. We invite poster (standard A1 paper size) presentations open to all students including undergraduate, masters and PhD studying and researching in computing or related areas. To enter, students need to submit a 250 word abstract by March 25th 2018 at 11:59 pm. There will be prize awards for the top 3 posters and a generous travel cost (up to £80 economy return ticket) will be refunded for all accepted posters. Posters on current related research will provide further opportunities for networking and discussion during the event. Abstracts must be submitted before the deadline to ukacmw@gmail.com . Participants will be notified of the outcome of their submissions by the 30th of March 2018.